cheque bounces cases - India- proceedings for appearance of accused- whether any personal exemption from appearance can be granted by magistrate court? Cheque bounce cases: The question of granting exemption from the personal appearance of the accused in Cheque bounce cases (offences under section 138 of Negotiable Instruments Act) is always a changing stage. For some time, the Higher Courts directed the magistrates to grant exemption as a matter of right. But later the Supreme Court observed it is the discretionary power of the magistrate. The court shall take in to consideration that, granting of persona exemption shall not affect the proceedings of the case. It is further observed that, the insistence of the personal appearance of the accused shall not cause enormous suffering on the accused. police arrest - private complaint - CRPC- Can an accused be arrested forthwith in cases of forwarded cases from the Magistrate court under section 156(3) of Crpc by the Police? There have been instances of improper investigation of cases registered under S.156 (3) of the Code of Criminal Procedure, 1973 reported from various parts of the State. The fact of registration can be used deliberately to manipulate a situation where by the accused are unnecessarily arrested. The investigation of such cases can be used to settle financial disputes, under coercion or the threat of arrest. 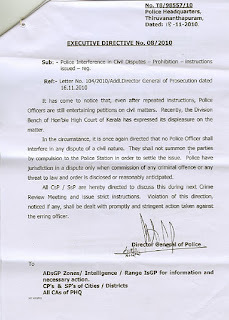 1) In the event of a Magistrate directing the Police, under S.156 (3) Cr.P.C, to investigate a case, the Station House Officer concerned, shall forthwith register the case. 2) The Case should be investigated by an officer not below the rank of a Sub Inspector. 3) The arrest of the accused in such cases shall only be made after due investigation, and, after the Investigating Officer is fully convinced of the complicity of the accused in the crime and the need to arrest him. The need for the arrest shall be substantiated with reason in the Case Diary. 4) Prior information both in writing and personally over phone may be given to the immediate supervisory authority by the Investigating Officer, before proceeding with such arrest. The service of retired judicial officers are available for acting as professional arbitrators and mediators. can a mosque or church or temple constructed if the local people objected? is there any special sanction obtained as per building rules for construction of place of worships? (2) (b) No site shall be used for the construction of a building intended for public worship, if the construction thereon will wound the religios feelings of any class of persons. In the case of an application for development or redevelopment of any land within the Security Zone, the Secretary shall consult the District Collector concerned before permission is granted. The District Collector, after getting specific recommendation from the Director General of Police, shall furnish his reply. The objection if any raised and/or restriction and/or regulation if any suggested by the District Collector shall be complied by the Secretary while issuing the permit. Provided that in the case of development or redevelopment for religious purpose or worship, prior approval or clearance or permission and concurrence as the case may be, of the District Collector concerned shall be obtained and also the conditions stipulated in the Manual of Guidelines to Prevent and Control Communal Disturbances and to Promote Communal Harmony which is in force have to be complied with. Applications for renovation without involving additional built-up area or structural alterations of existing buildings for religious purpose or places of worship can be considered by the Secretary after informing the District Collector in form in Appendix - N duly filled by the applicant and verified by the Secretary. The permit shall be issued only after the receipt of the concurrence by the District Collector. food adulteration cases- prevention of food adulteration Act- impleading manufactuers and dealers - question of successive warranty. 1990 (1) KLT 572, Chandak V. Food Inspector the division bench of Kerala Honourable Court held that, successive warranties are allowed as per the provisions of PFA Act. 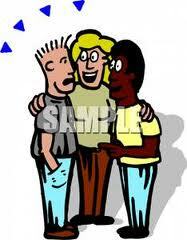 This would help the poor vendors to implead their successive dealers and distributors. 1979 Crl L J 969, Municipal Corporation of Delhi V. R Sahai and Other the three Bench decision of the Apex Court clarifies that, the jurisdiction under section 20A of the PFA Act can be exercised only during the trial. 2000 SCC (Cri) 1, Omprakash Shivprakash V. K I Kuriakose and Others that, the power to implead a dealer, Manufacturer or distributor under Section 20A of Prevention of Food Adulteration can neither be invoked before the stage of adducing evidence in the trial nor after the conclusion of the trial. It is further held that, the ‘trial’ for the offences under the Act begins when under section 251 Crpc the Magistrate asks the accused whether he pleads guilty or not. 2010 2 KLT 206 (Ayankali Nadar & Sons V. Sivasankara Pillai) It is stated in the said decision by a Single Bench of High Court of Kerala that, only if there is evidence, then only the person can be impleaded as per section 20A of PFA Act. 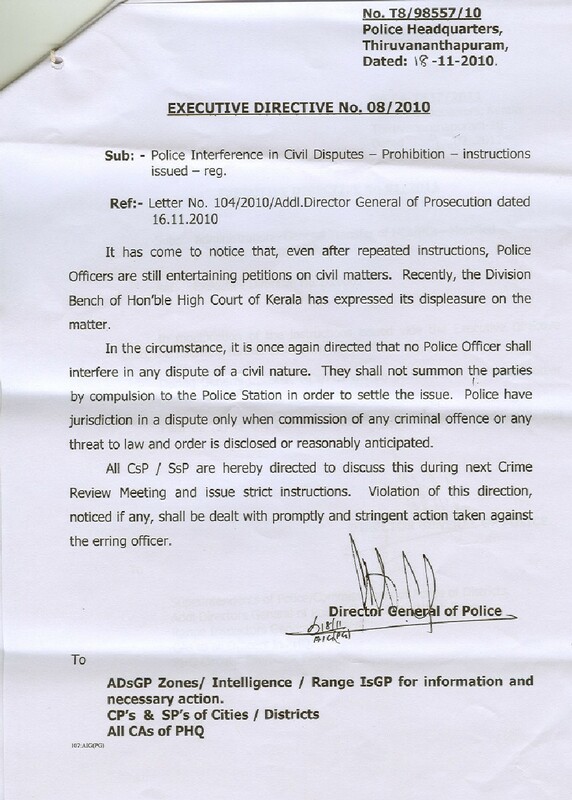 Role of police in civil cases - civil disputes and police interference - DGP circular, Kerala Police. Can mutation of the property done during the pendency of revenue recovery proceedings? The mutation means transfer of registry subsequent to the sale of the property. When a sale deed is executed in Sub Registrars Office, naturally the ownership need also be changed in the Mutation Register kept in Village Office. Usually, if an attachment or recovery proceedings is initiated on the subject matter, the Village Officers hesitate to effect the transfer in the registry. The matter is distinguished by Kerala High Court on a couple of cases, by Js Antony Dominic. It was held that, the effect of mutation in the name of new owner cannot be stalled for the reason that the revenue recovery proceedings are pending. It is further clarified in the order that, even if mutation is effected, the revenue recovery proceedings can be initiated against the new owner.! professional arbitrators for mediation and conciliation and arbitration- retired judges, judicial officers etc. Arbitration is one the relevant method of settlement of disputes, rather than longing in courts in long queue. The firms and companies can invoke arbitration clauses in their daily contracts and in the event of dispute, they can start proceedings through arbitrator. 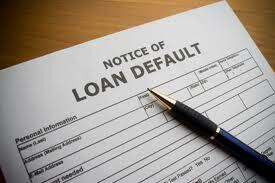 The award of an arbitrator is having same footing of that of a decree of civil court. The remaining proceedings is only for filing execution on the basis of the award of the arbitrator. Revaluation of answer sheets - speedy valuation is a right guaranteed under the Constitution of India. How to get revaluation results easier--earliest? The revaluation of answer sheets are always a hurdle for the students in Kerala, especially those who are studying for BTech Degree Courses. The undue delay in evaluation diminishes the opportunity of students to get placement in 7th and 8th Semesters. Most of the companies offer opportunities, with a chance to clear the back log on previous semesters. But even after appearing supplementary examinations and even some times applying for revaluation, the undue delay from the University is really a head ache for the students. However, those who can afford a Writ Petition in High Court of Kerala are able to get the results in a time bound manner. The right to get the revaluation result in time is the fundamental right of a student. you can record the action of police - audio and video recording permissible as per section 33 of Kerala Police Act. The question whether Compassionate appointment can be denied to the dependents of those who retire from service on medical grounds again mooted in the Central Administrative Tribunal, Ernakulam Bench. Earlier an official letter dated 29-5-1992 was quashed by the CAT full bench, in OA 220/98 dated 8-11-01. Subsequently in another case, a division bench of CAT took the similar stand. But the department again relied on the non est order which was already quashed by the CAT. Later this stand was confirmed by the High Court of Kerala vide order dated 28-9-04. Now again in another petition, CAT vide order dated 1-12-2011 observed that, the department again relied on the order which was already quashed. The CAT directed the department to circulate the quashed order within one month or pay a cost of RS 5000 to the Applicant. 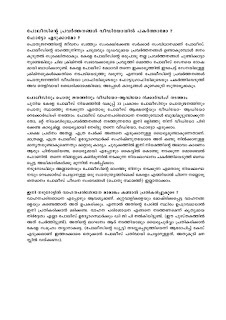 JANLOKPAL bill - a brief leaflet in malayalam. 1. (1) This Act may be called the Lokpal Act, 2011. Residence certificate from local bodies - to include name in voter list - guidelines issued. 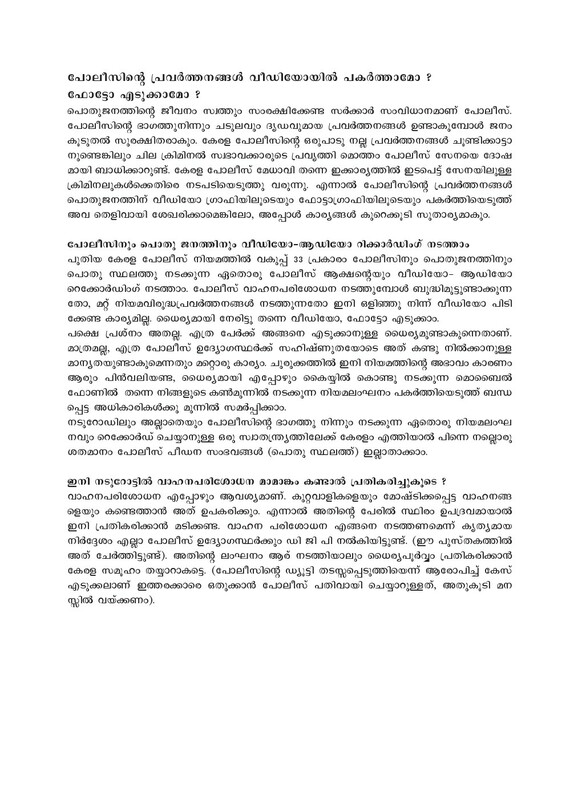 The new liquor policy of Government of Kerala has evoked mixed response from the people....download from the above link....full text. How to prepare a will- Model will to be presented before the Sub Registrar Offices in Kerala. Model will in malayalam form to be presented before the SROs in Kerala. No stamp duty is required for a will. before the Sub Registrar Offices in Kerala. 1) The Election Identity Card number of the applicant's relative(s) should be filled up. The applications in which Election Identity Card number of the relative(s) is not filled up will not be considered. 2) Applicant must write their Name, Relation name, Address etc. in MALAYALAM on the print out in the space provided and hand over the same duly signed to the respective Taluk Office on the date chosen by him/her. Those who are unable to take a printout of the application should note down the application number and submit filled up application in form number 6 at the Taluk Office quoting that number. 3) The applicant can select any one of the following dates for appearing at the Taluk Office for producing signed application along with original/attested true copy of the document to prove his/her age and for taking his/her photograph. How to apply under Right to Information Act? Model application form- download. Edapally - Aroor toll plaza - in legal hurdle. The Permanent Lok Adalat directed the NHAI and State Government to appear on a petition filed by the Kumbalam Residents association's cordination committee. Permanent Lok Adalat for Public Utility Services directed NHAI and Kerala State Gov. to appear on a petition filed by the Coordination committee of Residents Association. OP No. 47/11. The Petition is filed by Binesh of Kumbalam through Advocate Sherry J Thomas. Police officers in Kerala to disclose the income source of their close relatives - Direction from the DGP, Kerala. The income source of wife, children etc should be revealed by the police officers in Kerala as per the above cited circular. The nature of business, number of vehicles owned etc... are to be revealed. Money chain in Kerala - article - legal issues. Even joining in money chain is an offence in India. Just joining in money chain is an offence as it is against the provisions of Prize chits and Money Circulation Banning Act. (1) This Act may be called the Prize Chits and Money Circulation Schemes (Banning) Act, 1978. (f) “Reserve Bank” means the Reserve Bank of India constituted under the Reserve Bank of India Act, 1934 (2 of 1934). 3. Banning of prize chits and money circulation schemes or enrolment as members or participation therein.—No person shall promote or conduct any prize chit or money circulation scheme, or enrol as a member to any such chit or scheme, or participate in it otherwise, or receive or remit any money in pursuance of such chit or scheme. 4. Penalty for contravening the provisions of section 3.—Whoever contravenes the provisions of section 3 shall be punishable with imprisonment for a term which may extend to three years, or with fine which may extend to five thousand rupees, or with both: Provided that in the absence of special and adequate reasons to the contrary to be mentioned in the judgment of the court, the imprisonment shall not be less than one year and the fine shall not be less than one thousand rupees. (f) causes or procures or attempts to procure any person to do any of the above-mentioned acts, shall be punishable with imprisonment for a term which may extend to two years, or with fine which may extend to three thousand rupees, or with both: Provided that in the absence of special and adequate reasons to the contrary to be mentioned in the judgment of the court, the imprisonment shall not be less than one year and the fine shall not be less than one thousand rupees. (1) Where an offence under this Act has been committed by a company, every person who, at the time the offence was committed, was in charge of, and was responsible to, the company for the conduct of the business of the company, as well as the company, shall be deemed to be guilty of the offence and shall be liable to be proceeded against and punished accordingly: Provided that nothing contained in this sub-section shall render any such person liable to any punishment provided in this Act, if he proves that the offence was committed without his knowledge or that he exercised all due diligence to prevent the commission of such offence. (d) to seize all things found in the said premises which are intended to be used, or reasonably suspected to have been used, in connection with any such prize chit or money circulation scheme as aforesaid. (d) inspect and seize any register, books of accounts, documents or any other literature found in the said premises. (3) All searches under this section shall be made in accordance with the provisions of the Code of Criminal Procedure, 1973 (2 of 1974). 8. Forfeiture of newspaper and publication containing prize chit or money circulation scheme.—Where any newspaper or other publication contains any material connected with any prize chit or money circulation scheme promoted or conducted in contravention of the provisions of this Act or any advertisement in relation thereto, the State Government may, by notification in the Official Gazette, declare every copy of the newspaper and every copy of the publication containing such material or the advertisement to be forfeited to the State Government. 9. Power to try offences.—No court inferior to that of a Chief Metropolitan Magistrate, or as the case may be, Chief Judicial Magistrate, shall try any offence punishable under this Act. 10. Offences under this Act to be cognizable.—All offences punishable under this Act shall be cognizable. (d) any charitable or educational institution notified in this behalf by the State Government, in consultation with the Reserve Bank. (1) Notwithstanding anything contained in this Act, a person conducting a prize chit or money circulation scheme at the commencement of this Act may continue to conduct such chit or scheme for such period as may be necessary for the winding up of the business relating to such chit or scheme, so however that such period shall not in any case extend beyond a period of two years from such commencement: Provided that the said person shall furnish to the State Government or to such officer as may be authorised by it in this behalf and to such office of the Reserve Bank as may be prescribed in such form and within such period as may be prescribed, full information regarding the chit or scheme along with a winding up plan prepared in accordance with the provisions of any rules that may be made by the State Government in this behalf under this Act: Provided further that if the State Government is satisfied, on an application made by the person conducting the prize chit or money circulation scheme, that the chit or scheme cannot be wound up within the period fixed in the winding up plan furnished to the State Government under the foregoing proviso, it may, in consultation with the Reserve Bank, permit such person to continue to conduct the business relating to the said chit or scheme for such further period as may be considered necessary having regard to the circumstances of the case and the interests of the members of the said chit or scheme. (2) The State Government may, in consultation with the Reserve Bank, approve the winding up plan furnished under sub-section (1) with or without modifications or reject the same and may grant or refuse to grant permission to continue to conduct that chit or scheme: Provided that no such winding up plan shall be modified or rejected without giving an opportunity of being heard to the person who conducts such prize chit or money circulation scheme. (3) If any person fails to furnish full information regarding the said chit or scheme along with its winding up plan in the form and within the period prescribed, he shall forfeit his right to continue the business relating to the said chit or scheme on the expiry of such period. (4) Notwithstanding anything to the contrary contained in any agreement or arrangement entered into between any person conducting any such chit or scheme and the subscriber, the person conducting the chit or scheme shall, within such period as may be prescribed, refund the monies or the subscriptions collected till the date of default referred to in sub-section (3). (5) If any person fails to comply with the provisions of sub-section (4), he shall be punishable with imprisonment for a term which may extend to two years, or with fine which may extend to three thousand rupees, or with both: Provided that in the absence of special and adequate reasons to the contrary to be mentioned in the judgment of the court, the imprisonment shall not be less than one year and the fine shall not be less than one thousand rupees. (1) The State Government may, by notification in the Official Gazette and in consultation with the Reserve Bank, make rules for the purpose of carrying out the provisions of this Act. (b) the particulars relating to the winding up plan of the business relating to prize chits or money circulation schemes. (1) The Andhra Pradesh Money Circulation Scheme (Prohibition) Act, 1965 (Andhra Pradesh Act 30 of 1965), as in force in the State of Andhra Pradesh, and in the Union territory of Chandigarh and the Madhya Pradesh Dhan Parichalan Skeem (Pratishedh) Adhiniyam, 1975 (Madhya Pradesh Act 19 of 1975), are hereby repealed. (2) Notwithstanding the repeal of any Act referred to in sub-section (1), anything done or any action taken under the provisions of any such Act shall, in so far as such thing or action is not inconsistent with the provisions of this Act, be deemed to have been done or taken under the provisions of this Act as if the said provisions were in force when such thing was done or such action was taken and shall continue in force accordingly until superseded by anything done or any action taken under this Act.